When pricing insurance policies, location is a key factor. However, the methods for determining a location, by zip code or street segment data, often substitute an estimated location instead of using the actual location. While the difference between an estimated location and the actual location is often small enough to be insignificant, when the difference isn’t insignificant, the error can be often costly. 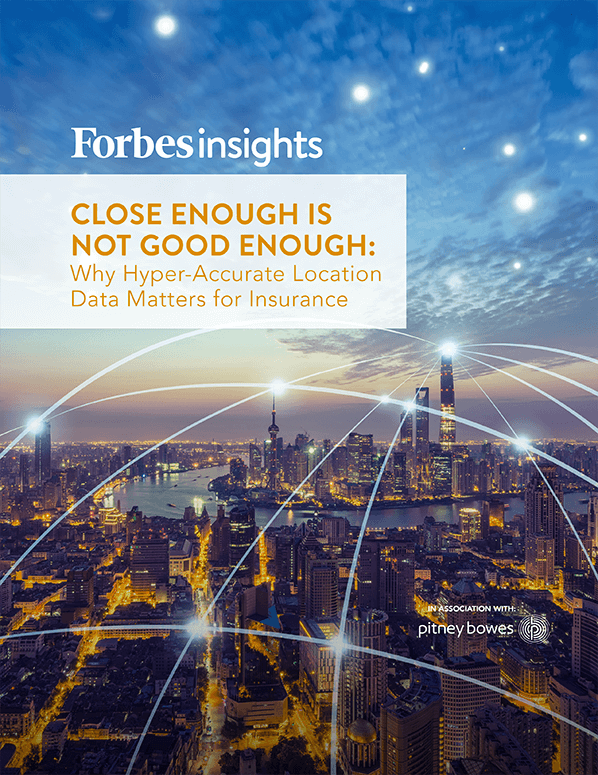 In this Forbes Insights report, find out why the “close enough is good enough” approach to defining location and pricing overlooks the critical value of accuracy and can open up insurers to underpricing risk and adverse selection. Complete the form below to download your complimentary copy of Close Enough Is Not Good Enough: Why Hyper-Accurate Location Data Matters for Insurance.